We’ve all heard that Donald Trump is a successful businessman and knows how to run a business. After all, you have to be good at what you do in order to be a billionaire, right? However, Trump has not always been successful; in fact, he has filed for bankruptcy more than once, and some have argued he’d have more money if he’d just put his $100 million net worth in 1978 into a retirement account. There’s no denying he has a talent for real estate, but that talent had not transferred to other venues. 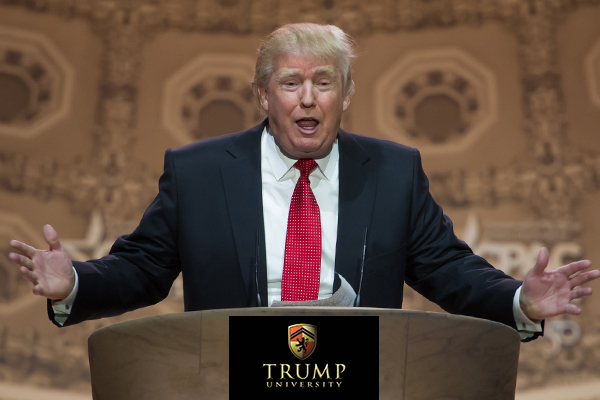 Perhaps the failure that has been most present in the media lately is Trump University. Potential students paid thousands (up to $35,000) for a chance to learn the secrets of success. Many believed that they would actually learn something useful or get to meet Trump (to be fair, they got to take pictures with a cardboard cutout of Trump), neither of which happened. The “University” now faces a $40 million lawsuit.